Hooray! It’s your best friend’s wedding day, so why not showcase your skills by becoming the best bridesmaid ever? For every girl out there, ‘will you be my bridesmaid’? is the most eagerly-awaited question. Being asked to be a bridesmaid for your best friend is a huge deal, and you should feel honoured that you get to be an intimate part of her memorable day! Accompanying her for wedding dress shopping, planning a bachelorette or helping her recover from those wedding jitters is your responsibility. So, if you’ve happily agreed to be her ‘girl Friday’ then get up, take charge and make sure your best friend has the wedding of the century! 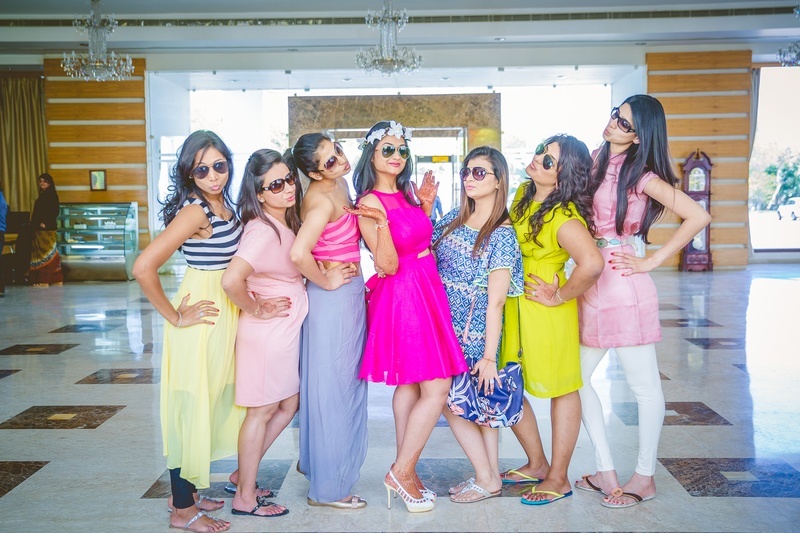 Here are 5 unique ways that let you be the coolest bridesmaid ever! This is the ultimate party celebration for your BFF before walking down that aisle. Giving an epic bachelorette party doesn’t necessarily mean going to Las Vegas, but you could always bring the Las Vegas experience to her. So, make sure you organise a crazy bachelorette party, which your best friend will remember for years to come. When it comes to wedding dress shopping, you are your friend’s guide and confidant as she heavily depends on you to choose the best outfit. And trust us when we say this, it can become extremely boring if the bride doesn’t have a companion to help her with the chaos and multiple options available today. There is a huge possibility that you already know the other bridesmaids as you’ll belong to the same friend’s circle. In case you don’t know them, make it a point to get in touch with them and arrange to meet up before the big day. Catching up over coffee is a great idea as it makes the whole planning process super-duper fun. Make the days leading up to her wedding memorable. Send her cute, excited messages that will bring a smile on her face every time she reads your message or take her out for shopping because it always helps! No matter what the occasion or mood is, take her out for stress-free shopping time. You can also organise a spa day together to keep her relaxed. This ensures that your best friend knows you’re with her every step of the way. It’s her wedding day. It is nerve wracking for her and you need to be there for all the support. Period. The focus has to be on her, and you need to make sure all her needs are met with. If she’s acting like a cry baby lately or a bit hysterical, cracking a few jokes (no matter how lame they are) helps. It may sound a bit strange, but carry all her essentials in your clutch as you never know when an emergency comes up. If your best friend is rushing off to her honeymoon the very next day, you can offer to carry her gown to the drycleaners. C’mon, you both have known each other for donkey’s years now, and it’s a big moment in her life and she wants you to be by her side. So, drop everything, adjust your expressions and take on the responsibilities with a big smile.